QuickTime is a family of digital media software for creation, delivery and playback software lets you deliver live or pre-recorded video and audio to an audience of any size. When combined with QuickTime Player and QuickTime Pro, these applications work together to provide the industry's first end-to-end, standards-based digital media delivery system. 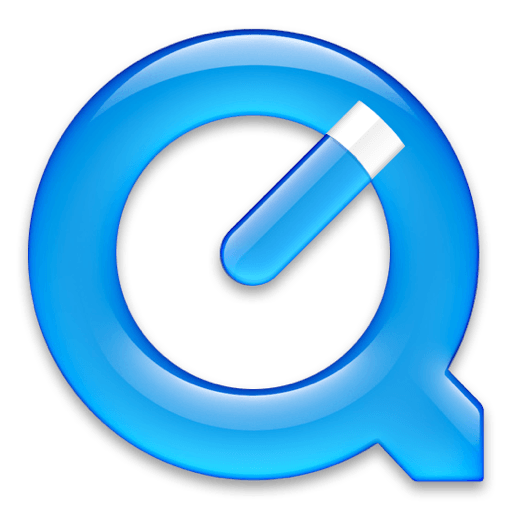 QuickTime 7 delivers numerous bug fixes and addresses critical security issues. This update is recommended for all QuickTime 7 users. That's because QuickTime 7 Player takes advantage of the latest video compression technology. It's called H.264, and it's an important new industry standard that's quickly garnered widespread support. Chosen as the industry-standard codec for 3GPP (mobile multimedia), MPEG-4 HD-DVD and Blu-ray, H.264 represents the next generation of video for everything from mobile multimedia to high-definition playback. Resulting in much smaller files - without sacrificing any quality. So you can watch video of astonishing quality - crisp, clear and brilliantly saturated - in a window up to four times the size you are currently used to seeing. Tired of pillar bars and letterboxes? Full screen playback, now included in the free QuickTime Player, has been enhanced to allow you to take full advantage of your computer's widescreen display. Select from three different modes to fit your content to any size screen. The new QuickTime 7 Player not only delivers startling quality, but it's easier to use than ever. It requires no set up for content that streams over the network. Instead, QuickTime 7 Player automatically determines your system's connection speed and chooses the highest quality stream for the amount of bandwidth you have available. And if you ever lose a connection while watching streaming video, QuickTime 7 Player automatically reconnects. Now, that's convenience. You also have the option of using the Player's new audio and video playback controls. With them, you can easily adjust balance and volume or make changes to bass and treble response. If you're running Mac OS X Tiger or later with a capable video card, you can adjust brightness, color, contrast and tint with sliders in the same control palette, too. Want to speed through a movie? Or really s l o w t h i n g s d o w n? A handy slider lets you set playback speed from 1/2x to 3x normal speed. And by using the new Jog Shuttle, you can adjust the speed at which you search through individual movie frames. Do you think great video deserves great audio? We do, too. And QuickTime 7 Player delivers truly outstanding multi-channel audio. In fact, it provides you with up to 24 channels of audio. So if you watch a movie that offers surround sound, you'll be amazed at the heightened audio experience you'll enjoy from your Mac or PC and your surround-sound speakers. A really good sport, QuickTime 7 Player supports a wide-range of industry-standard audio formats, including AIFF, WAV, MOV, MP4 (AAC only), CAF and AAC/ADTS.